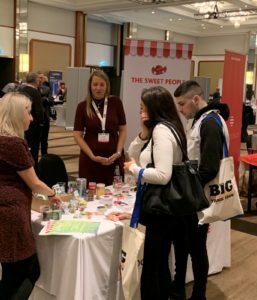 On March 6, the first The Big Promotional Trade Show to happen in Glasgow saw more than 50 distributors attend the event. Visitors to the event saw a comprehensive range of products and services, providing the latest innovative ideas and marketing solutions available to the industry. The event also enables visitors to meet key suppliers in a relaxed atmosphere. The next event will take place at the Red Cow Moran Hotel in Dublin on March 27. Followed by Lancashire County Cricket Club, Emirates, Old Trafford, Manchester on April 4. The Riverside Venue, Bath Road, Heathrow, London on April 10, Manchester United, Old Trafford on September 3 and The Village Hotel, Elstree on September 26.